I was sad to read the comments in Pride’s Purge and would like to reply. I don’t know how familiar Tom Pride is with the circumstances of Lord and Lady Tebbit. Needless to say the 24/7 care provided by three carers is necessary for her, and given that board and lodging is included, the minimum wage does not seem to be an inappropriate level of pay. That these carers may be from Eastern Europe must come as no surprise, given the reluctance of Brits to join the caring and catering professions. 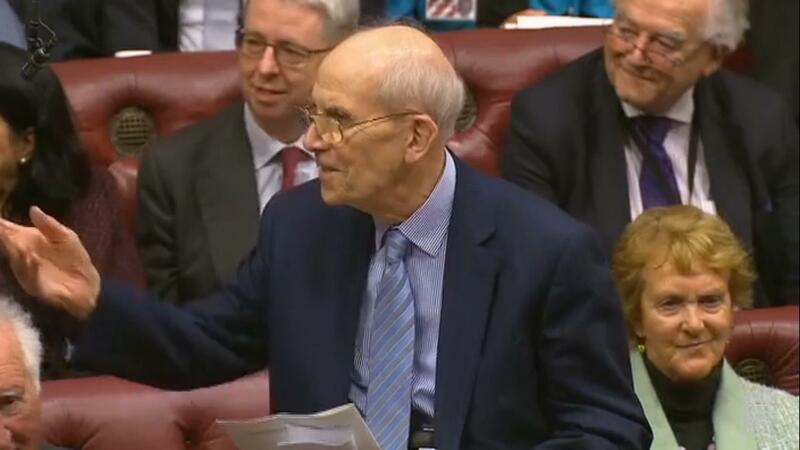 In his opening remarks yesterday, Lord Tebbit made clear that he has close relatives living abroad and non-UK in-laws living in the UK. His use of the word ‘foreigners’ was surely to emphasise the bias of the debate in favour of non-UK workers here over the needs of UK workers abroad. He may also have been pandering to news editors with a tongue-in-cheek taunt, but I see no “hypocrisy” here. The testimony of Marketa sounds like that of a rather bitter and aggrieved employee. Obviously I do not know her exact circumstances, but I cannot see anything wrong in her food being bought from Tesco, not being allowed alcohol when dining with the Tebbits, or having to address them as Lord & Lady. What employee is allowed alcohol when at work, and what hotel employee would address anyone by his/her first name? With two exceptions, the comments beneath Pride’s Purge generally show anti-Conservative (or anti-Thatcher) feelings, and little sympathy with what it is like to be paralysed since 1984, to forego a career in front-line politics in order to take responsibility for one’s spouse in those circumstances, and to continue to do so well into one’s 80s. I note the absence of criticism of the IRA. Incidentally, my OED defines foreigner as one who comes from a foreign country. Anyone would think he had said “aliens”! I was rather looking forward to completing this. As a former representative of the area I hoped I might have something to offer. I logged on enthusiastically. Sadly, it soon became obvious that not only would I find the questionnaire hard to complete, but so would others. I know it is easy to carp, and I do try to be positive, but my honest immediate impressions are as follows. Q.1 asks which key issues you think are the most important to address within the town centre, adding “you can tick more than one”. The trouble is that all eleven are important, and it is very difficult to pick out any to the exclusion of the rest. Q.2 is a useful blank space to fill with your own ideas. Q.3 asks you to agree or not (or “don’t know”) with a statement about the town which could not be faulted. Q.4 asks you to choose which of eleven things you would like to see more of in the town; again you can tick more than one. Just as well, as I could tick almost all – not very helpful to the questionnaire’s analysers! Q.5 is a statement of the historical importance of the town, and asks for agreement or not (or don’t know). It would be hard to justify a “disagree”. Q.6 is open-ended and may well bring up some new ways of protecting the town’s heritage. Q.7 deals with key sites on the edge of town, such as Tayfen Rd and Station Hill. It asks you to agree or not that these and other locations should be considered “as an interlinked arc of opportunity both within and closely related to the town centre masterplan area”. I am tempted to mutter: “well dur!” Q.8 asks if you agree with the principle of redeveloping potentially underused sites around the town centre, assuming existing facilities are retained. Surely the same reaction is justified. I hope that Q.9’s request for additional comments is more helpful to respondents and analysers. Q.10 asks you to agree or not with supporting “thriving mixed-use neighbourhoods”. Again, how can you disagree? Q.11 asks you to prioritise housing needs within six types of accommodation and type of client, e.g., housing for single people, flats for older people, etc. This might seem useful, but what the respondents think is not necessarily where the demand actually comes from. Q.12/13 asks for further additional local facilities and services that could support residential neighbourhoods within the town. Q.14-17 deal with “providing welcoming gateways and approaches”, along similar lines, and again there is the opportunity to contribute your ideas, as there is in Q.18/19, relating to the street scene, and Q.20/21. Q.22/23 mark the return of the bland statement, this time about green spaces, with which no one could really disagree – despite the invitation to do so. You can then tick any of the seven cited improvements; but I fear you will want to tick all. As with so much of this document, the various suggestions and ideas are simply not mutually exclusive. Q.24-33 are about you, the respondent. Here the authors lay out their polished credentials in political correctness. As well as more useful information to guide their analysis (gender, age, relative location, reasons for your visits to town and frequency) you are asked if you have a disability, including the option don’t know (sic). There follow no fewer than nineteen ethnic categories you are invited to associate yourself with, eight religions and five sexual orientations. I do not know whether it makes any difference that my own answers come from my having a White: British or White: English background, nor whether one being of the Jain faith, or any other or none, would have a bearing on one’s views on improved signage and information boards. The authors must think so. Perhaps I should have read the full report before tackling the questionnaire, as it sets out issues, objectives and possible directions with much more contrast than the latter does. But I wanted to air my views first, as I think will some of you. I hope you won’t give up as soon as I did. So will the results of this exercise be of any real use? Despite my misgivings, I genuinely hope so. But they need to be more than just going through the motions of public consultation, especially if the cost is to have been worthwhile – badges and all. 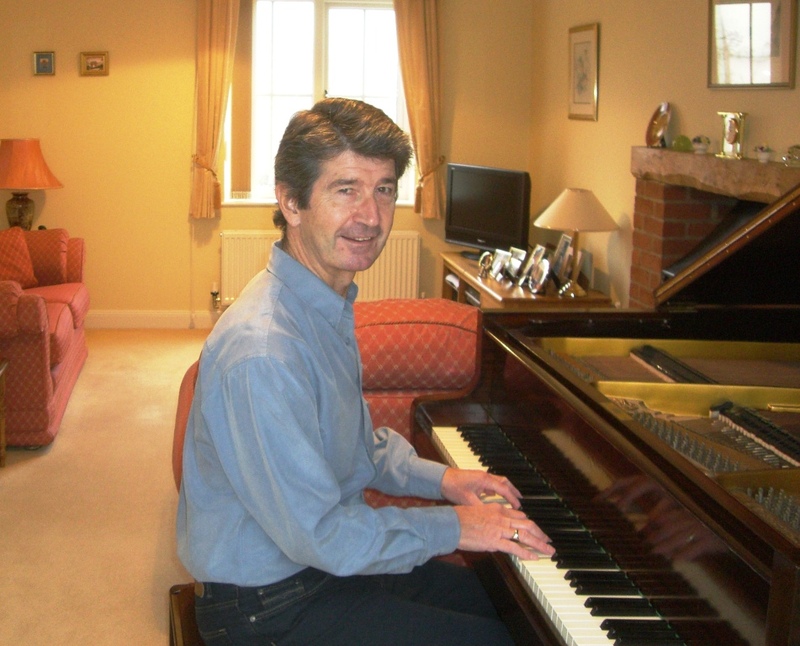 I have played the piano for the past 60 years, but was probably at my best when I was 15 and passed the ABRSM grade VII exam with merit. I then switched to the organ, and although I achieved grade VIII merit playing both the organ and French horn, I did not apply myself sufficiently to progress any further with the piano. One of the Grade VI set pieces for 2015/16 is the first movement of Mozart’s Piano Sonata in C, K545, which I learned when I was 13 or 14 – possibly for my own Grade VI exam. It is well known as one of Mozart’s easier compositions, at least from the perspective of technique. For some reason or other I was persuaded (or wanted) to perform the sonata at one of my school concerts. I remember with some pain the hash I made of it, largely through ‘nerves’, which have dogged my public performances ever since. I was diagnosed with PD in 2007, but it wasn’t for some years that I realised my piano playing was worse during ‘off time’, alongside my other symptoms. Until 2014 I regularly played the piano for charity, in the form of ‘Pianathons’ lasting an hour – with medication carefully timed for the performance to coincide with my ‘on time’. Since then a combination of nerves and the progression of my condition have prevented my continuing to perform in public, although I do try to play regularly at home now I am retired and can time my medication accordingly. It is interesting (and perhaps encouraging for other musicians newly diagnosed with PD) to find myself just about able to play that same Mozart sonata, as the following recording of bars 1-28 show. The performance is spoilt by being created simply on a digital voice recorder – and of course my several mistakes! To hear it click on http://chirb.it/831OrC and press the top right button to start. I apologise for any adverts, from which I do not benefit! My own complaint is about the substantial reduction in the way brown bins may now be used. It will no longer be permissible to include kitchen waste, food, plate scrapings, tea bags, coffee grounds, cardboard, newspaper or shredded paper. For most people this will surely be a serious drawback to the service. In reply to my tweets, the council claims that ‘changes to legislation over how food waste is treated’ prevent kitchen waste being included, even ‘fruit peelings’. 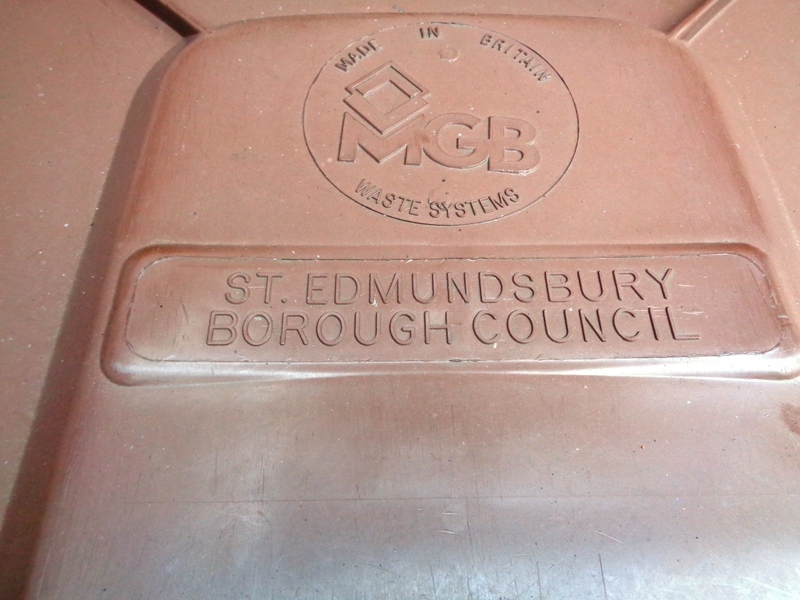 It also says that what has previously been acceptable waste is not suitable for the ‘wind row’ type of composting that will process the contents of our brown bins in future. No doubt there is a good reason for this, but it does seem unfortunate that a contractor who would accept the existing brown bin waste could not again be engaged, especially now that the service is no longer ‘free’. I can understand that animal waste and real kitchen waste might be treated differently from garden waste; indeed the former has only been accepted in recent years. But I find it hard to believe that whilst fruit and vegetables ‘from your garden’ can be put in the bin, those bits of it that are peeled before consumption (e.g. from apples, bananas, oranges) are apparently banned. I tweeted that I paid my £40 ‘with a heavy heart’. It would have been a lot lighter if I were paying for the full existing service rather than a markedly inferior one. Something of a double-whammy. I am taking the unusual step of adding to this rarely used site, since Twitter’s 140 characters have defeated me. It’s the first time I have put ink to paper (so to speak) since ceasing to be a St Edmundsbury (SEBC) borough councillor, and so I do so with some caution. It was via a Bury Free Press tweet that I learned of the council’s plans to consider an annual charge for emptying brown bins. My immediate reaction was mild outrage: after about 12 years of fortnightly collections, the notion of paying £35-50 per year just seemed a retrograde step. (NB It’s only the lower limit that has been widely quoted, since SEBC’s own release said “around £35” – getting worried?). I am lucky that I can afford to pay this, so the issue for me becomes one of principle. However, some would find the cost a burden, and those same people might well not have access to their local waste recycling centre. I have read the council’s cabinet paper, explaining why the service will cost the two West Suffolk councils £500,000 a year, because of various changes in funding and other factors. To be honest, as a non-waste expert I found it somewhat esoteric, but its conclusions were clear: maintain a free service but find the cost elsewhere; scrap the service; or make a charge. It recommends the latter, along with a ban on the inclusion of non-meat food waste in brown bins. I don’t think this ‘decision’ necessarily makes sense given some of the report’s own findings. It warns that there is a “high risk”, both of organic waste being put in black bins (which would add to costs) and of the charge being considered “inequitable” and branded a “stealth tax”. Furthermore, it accepts that a free service “maximises” composting and minimises disposal of garden waste. But there are other arguments or concerns. How exactly will the service be organised and administered when collections are no longer universal – won’t this be very complex? What if only a minority take up the charged service; and how many households have to subscribe for it to remain at the estimated level? Surely if only a small minority pay, then it could cost the council even more, which would have to be absorbed in an increased charge, further savings or complete disbandment of the service. Since tweeting about this issue it has been pointed out to me that charging may encourage back garden bonfires, with all the pollution that these can cause. An increase in fly-tipping has also been cited as a possible consequence of this policy. The report mentions ways in which the charge can be mitigated, notably by composting. That may be viable in a large garden, but not in a modest one like mine – which nevertheless produces enough for the brown bin to be emptied on almost every collection. Sharing a bin with neighbours has also been suggested. I like my neighbours and am lucky to have them, but I want to keep it that way please! I have on Twitter suggested that the ward locality budget for each SEBC councillor would in total meet nearly half of SEBC’s share of the estimated cost. (That scheme only started last year, and in my opinion does not always amount to money well spent nor aimed at a wide enough section of the borough’s population.) This is only one example of possible funding. Both West Suffolk councils have made very effective savings year on year, but do not seem keen on absorbing this particular amount. Certainly there are no savings options outlined in the report. Does any of this matter? I think it does, if only because most voters will not digest nor accept the reasons why the councils face this situation, and may therefore perceive a charge for, or withdrawal of, brown bins wholly negatively. It is possible that this resentment may even surface at the 2019 elections, after the council tax bill that arrives in April includes an extra £50. Charging could also be seen as a green light for introducing charges for other services that have previously been subsidised – blue bins next? I am not in principle against charging for what only some residents use (far from it), but the use of the brown bin service must rank among the most used of all council services other than the black and blue ones. It is part of the household waste collection service, something that all council tax payers benefit from – some would say it’s the only thing! So you want to be a local councillor? There should be one reason for putting yourself up for election: you want to serve and improve your community. There may be incidental reasons (a little glamour, kudos and power) but none of these should be a substitute for service. If it is, then you will be sorely disappointed! By service, I mean a whole range of actions and contact with other councillors and those residents you represent, from speaking at important public meetings to more mundane dealings with wheelie-bins, litter or dog poo. The following is written by a councillor of twelve years’ standing, who has served on all three levels of local councils. The information and views contained are offered on a personal and informal basis: they have not been approved by any council; nor are they a substitute for relevant election law, which all prospective candidates should make themselves familiar with. Please note that I take no responsibility whatsoever for any reader who gets into any personal, legal or electoral difficulties as a result of what is written below. You have been warned! Councillors (also known as ‘members’ of a council) are linked to a ‘ward’ (parish, town and district councils) or a ‘division’ (county councils). This is simply a specified area containing the residents whom the councillor represents. A councillor sometimes shares these ‘electors’, as they are called, with one or even two others. It follows that a council’s area is divided up into a number of wards/divisions. Councillors are often linked to a political party, but many are independent. How you become a councillor will be depend on whether or not you want to have a party affiliation. If you support a particular party, and want to be linked to it, then you need to contact its local office and say that you want to stand as a councillor. The local branch will need to select you, and if you are successful it will then process your nomination and support you in your campaign to get elected. As an independent candidate you are free to nominate yourself. District councils administer elections on behalf of all councils. Get in touch with the district council’s elections officer well before an election, so that you can acquire the election timetable, together with the necessary forms to process before the various deadlines. You will need up to ten signatures of those on the electoral register living in the ward or division you wish to represent. You will also need to live or work in the council’s area. For further information google the Electoral Commission’s website, from which you can access all the relevant information. In particular you will need to familiarise yourself with basic election law, which for example requires you to provide details of your election expenses – which are strictly limited. Elections are held on the first Thursday in May, each year in some council areas or every four years in others. By-elections are held occasionally, because a councillor resigns or dies ‘mid-term’. How you conduct your election campaign will be up to you and your party, if you are not an independent candidate, and information about that is the subject for a separate guide. Your job at the count is actively to scrutinise the counting of your (and others’) votes. All humans err, including some at the count, and as you are able to watch them counting you may be able to point out any slip that occurs. Moreover, you may be needed to help adjudicate on any doubtful votes, such as crosses not fully contained in the candidate’s box, ticks instead of crosses, slogans and downright obscenities! Unless yours is a by-election, the whole process can take a long time, so bring some refreshment. And if the result is very close, you have the right to ask for a re-count. Don’t be afraid to: I have personally witnessed temporarily mislaid votes that have turned up during the second count! Just before the result is announced, all the candidates or agents may be told the provisional result by the returning officer, to check that this is acceptable, and then if there is no re-count it will be announced. Depending on the result, that is when your work as a councillor begins or ends. What does a councillor do – within the council? There are three levels of councils: county, district (which includes ‘borough’) and parish (larger parishes can be called ‘town’ councils). Each has different responsibilities which can be discovered by looking at their websites. For example, all counties organise social care and education; districts planning and licensing; and parishes allotments, land and buildings and salt/grit bins. There are also some ‘unitary councils’, which are responsible for all of the functions in their area. Officers of the council, led by a chief executive or parish/town clerk, administer its the day to day operation, based on the policies and actions decided by its members. These decisions may be made by the council meeting in full (all parish/town decisions are made in this way), by committees (e.g. planning and licensing) or by cabinet members, one of whom will be the ‘leader’. A small number of councils are led by an elected mayor. The old system, whereby all executive decisions were made by politically balanced committees, is still used by some councils. So where does the newly elected member fit into all this? In the first place you would immediately be a full and equal member of the council: there is no probationary period! The council’s first decisions will be made at the annual meeting of the council held shortly after the election. The agenda includes the election of the leader and mayor/chairman (non-executive and largely ceremonial) and chairmen of scrutiny committees. A parish council will just elect its chairman (or mayor for some town councils) who does not lead the council but chairs its meetings. If you are politically affiliated, your parties ‘group’ will decide whom it wants to support for leader. Sometime after your election you will have the opportunity to say what your local government interests are, and this will help your leader decide what committees to put you on. This decision will be constrained by the requirements for political balance, and fitting all the round pegs into the right round holes can be difficult. Inevitably you may not get your first choice of committee. The council and your committees will meet perhaps a few times a year each, and you may feel that not a great deal of time needs to be devoted to your new occupation. If you are keen, you can always ask to do more. To some, the way councils and committees conduct their business may seem strange, with such terms as ‘standing orders’, ‘points of order’, ‘amendments’ and so on. The council’s standing orders are actually a helpful way of telling everyone how business will be transacted, and should be studied before you take part in a formal meeting. What does a councillor do – outside the council? As a councillor your first duty is to represent the best interests of your electors (not just the ones that voted for you) but you also have a responsibility to promote the interests of the whole council and all its residents. Whilst long-serving councillors may become busy chairmen of committees or cabinet members, a back-bencher is always in demand. You might have got a taste for this in your election campaign, when members of the public may have contacted you to complain about this or that action done or not done by “the council”. Complaints can range from too much litter on the pavement to objecting to a major planning application. Each will have to be dealt with, either by contacting an officer who can intervene, or by personally meeting the resident or even representing him/her at a planning meeting. It is therefore extremely important to try and find your way around the various council officers’ responsibilities and know their internal telephone and email details. So much of the day-to-day work of a council member is finding the right officer who can help. Good personal relationships and mutual trust are obviously helpful in getting the desired solution to residents’ issues. Sometimes the problem brought to you falls within the realm of a different level of council. In such cases you need to know who your opposite numbers are on the other tiers of organisation. So, a district councillor should know the member who represents the division that covers his ward. In this way highways’ matters (e.g. pot holes) can be referred to the responsible authority. There will however be times when the issue that has arisen cannot be dealt with by any council. For example parking offences, which falls within the local police’s remit, domestic land disputes or neighbour conflicts. You should tread carefully with the latter two, for fear of getting too involved without being able to solve the problem. Referring to a mediation agency is one way of dealing with warring neighbours. Out of all your electors, a tiny minority will take up a disproportionate amount of your time, either because they find much to complain about (some or all of which may not be connected with the council) or perhaps they just enjoy making contact. I have had a variety of strange requests for advice, including complaints about TV reception (happily no longer, since the proliferation of satellite dishes) and a woman who wanted a permanent man in her life – fortunately for both of us, not me! Some of the hardest matters to deal with are those brought by people who have become involved in long-running disputes, not always involving the council, who think that because of your newly elevated status you will be able to help them. Maybe you can, but you may want to seek advice before committing yourself, especially if the council is the other party. Contact your council’s chief officer, or if necessary a third party. All the main political parties have an association for their members, and the Local Government Association have an Independent group. Many people have a false view of a local councillor’s power to get things done. Whilst there may be occasions when the title ‘Cllr’ opens a door for you to help someone, in many cases you are a go-between for passing on complaints or requests. The vast majority of your electors will never contact you. That doesn’t mean that you shouldn’t contact them, either with periodic newsletters which tell them what you are doing and that remind them that you are there to help, or through local campaigns. Social media can bring you to a wider audience, but should only be used as additions to and not a substitutes for conventional means of communication. When delivering leaflets or canvassing in general, respect the occasional ‘No Publicity’ notice as you will simply annoy the occupants, but don’t be afraid to include apparently empty properties when leafleting: you never know whether the next occupier might become one of your supporters. Learn where the dogs and cats live – yes, I have had blood drawn from a cat’s paw through the letterbox. You need to develop a technique which both ensures the material lands on the mat (foes may later retrieve the half-posted leaflet!) yet keeps your fingers on the outside of the letterbox. Be prepared for a scantily clad person, dutifully answering their door on exiting their shower; and in all cases be aware of your own safety and reputation – perhaps by thinking carefully before accepting an invitation into the home. Door-knocking in pairs is the safer option, and a much more enjoyable one. All councillors have information about them available through their council, and you need to be aware that your declaration of interests is a public document. Look for an example on any council’s website to see what this entails. Similarly, your address and telephone number are public information, and you should decide how ‘available’ to the public you are prepared to be. You may be quite happy to be available on your mobile 24/7 or on the other hand employ an answering facility outside ‘office hours’. These are three major functions of a district/borough council. The one aspect of a council’s work that touches everyone is domestic waste collection – or the bin lorry. Whilst the system might work perfectly for 51 weeks every year, there are all manner of reasons why it may occasionally fail: weather, vehicles blocking access and lorry malfunction are all possible. The important thing for the relevant councillor to do is find out in advance the key person/s to contact in such an event. Don’t wait for the worst to happen! Planning applications can be controversial in the town or the countryside, and will often attract objections. Smaller applications (e.g. an extension or new garage) will be decided by a planning officer unless for some unforeseen reason the local councillor needs and is able to bring it to the relevant committee. Major applications will usually be decided by the planning committee. The roll of the local councillor can be either to support or object to the application. Whilst an applicant may seek the member’s support, this is more likely to be sought by a number of objectors – simply because there will be more of them. There are times when there are as many people in favour of the objection, though this is unusual in my experience. Councillors have to decide where they stand on the basis of a careful scrutiny of the application, knowledge of the immediate area and of relevant planning policy, and the nature and extent of representations received by local people. It is a fascinating area of work which can be rewarding, as when a small neighbourhood is denied an ugly intrusive building through your active involvement in the planning process. Similarly, the licensing of public houses and clubs can involve several local residents who may be affected by an increase in drinking hours or a change in the nature of an establishment, and council members can be involved in supporting residents at hearings held to decide on such applications. Licensing law is different from planning law and is enshrined in The Licensing Act 2003 and its guidance. Much of the above may at first seem daunting. Your council is however likely to have a scheme of training for members in all the basic areas with which you would need to familiarise yourself. Once trained, you may even be able to become a member of the planning or licensing committee, doing the deciding rather than the representing. Depending on the type of council, an allowance may be paid to members. The amount, which also depends on whether the councillor holds a post of responsibility, will be modest compared with any normal employment. For examples of exact amounts go to councils’ websites. Expenses are usually payable for transport to official council meetings, for childcare or subsidence. All other travel and expenses incurred as a result of working with electors is not payable, but a tax allowance for use of the home as an office may be negotiated with your tax office. It is prudent to check whether your house and car insurance cover you for ‘official’ use. It should also be noted that allowances and expenses (and attendance at meetings) is a matter of public record. Being a local councillor can be a most rewarding occupation, which can usually be carried out alongside a part-time job. Not surprisingly it can be hard work, and inevitably the greater the effort put into it, then the more likely you are to be asked to help even more people. The maxim ‘if you want a job done well, ask a busy person’ certainly applies here! If having read all the above you are not deterred from becoming a local councillor, then why not have a go?